The characteristics and purpose of the various models of commercial- and community-oriented currencies are explained, with examples from rich and poor, urban and rural communities. Different types of currency – voucher systems, circulating currencies, exchange rings and micro-credit banks – are looked at in detail. 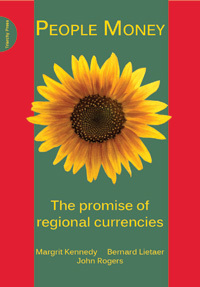 Using the experience of organisers of regional currencies, the authors describe the administration and governance of the currencies, how to cooperate with other financial institutions, clearing systems and the issue of taxation.